VWAuditec was established in July 2010 by Jamie Hinton and Julian Cowell. Based in Waterhouse Business Park, Chelmsford and Stort Valley Industrial Estate, Bishop's Stortford, we have all the lastest computer equipment and the experience required; your car could not be in safer hands. Julian Cowell joined VW/Audi in 1994 and worked in the main dealer till 2011 as a Volkswagen Qualified technician. Jamie Hinton joined Volkswagen in 2000 and worked in the main dealer till 2010 as a Master Technician and Licence Technician. Nigel Gray joined VWAuditec in 2017 to open the Bishop's Stortford branch, having spent 23 years with the Volkswagen brand as a Service and then General Manager. Due to block exemption we are able to attend Volkswagen and Audi product training to keep up to date with ever changing vehicle technology. Your warranty will remain intact when we service your vehicle whilst it’s still under the manufacturer's warranty, as we use genuine parts and follow all of the manufacturers servicing schedules. 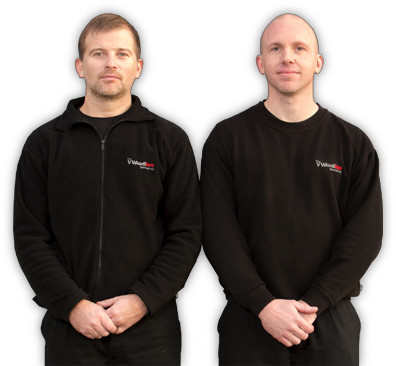 VWAuditec is run by Jamie Hinton a Volkswagen Master Technician for 13 years with 17 years group experience and Julian Cowell a Volkswagen Qualified Technician for 14 years with 24 years group experience.